This one’s simple: whenever you receive a bill in the mail that contains even one item that you can’t immediately explain, you’re probably losing money. One, the item on the bill might be misapplied to you. For example, you might have a surcharge on your bill that applies to some customers but not necessarily to you, such as a rural water charge. Two, the item on the bill might be for an optional service that you have no interest in using. For several years, my parents carried a fee for a “call forwarding” feature that they never used. A careful review of their monthly phone bill would have taken care of that fee. I’ve seen multiple instances of each of these cases, and in each one of those cases, the extra fee was nothing more than a drain on the customer’s wallet. The first step is clearly stated at the start of this article: review every bill you get. Sure, it’s easier to just look at the invoice, pay that dollar amount, and move on as quickly as possible, but your full bill is what you need to look at. Go through every line of that bill. Whenever you spot something that you don’t fully understand, highlight that charge. Now, you don’t have to do this every time with every bill, but make sure that you check each bill type that you receive at least once a year. When you come to the end of a bill and you’ve highlighted any lines on that bill, call the customer service number on the bill. 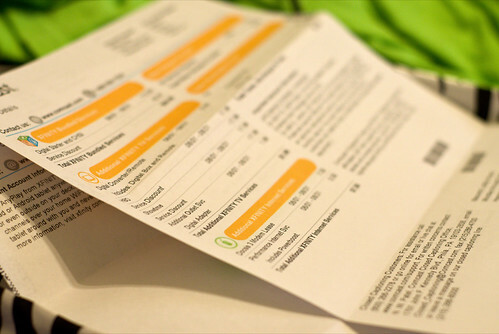 You need to find out what those unclear charges are and, if they’re unnecessary, you need to have them eliminated from your bill. As always, don’t lose your cool at the customer service rep that answers your call. Be calm. Don’t get angry. Often, they don’t have the power to make changes to your bill and, sometimes, they don’t even know what exactly you mean, as they’re often just hired to follow a script or to look for answers in a manual that’s been given to them. If you lose your cool with this person, they’re not going to want to help you. Instead, if you don’t receive the answers you need, thank them and ask to speak to their supervisor. Often, their supervisor can make any necessary changes or provide you with the detailed answers you seek. You should also note that many of the unknown charges will not be removed. They might be local taxes or other fees that cannot be waived. Don’t stress out about these; instead, focus on the victories over the charges that you can remove. Remember, removing just $5 in monthly charges on a single bill saves you $60 per year on that bill alone. Do that with five bills and you’re saving $300 a year. That’s well worth reading through some bills.